We took a field trip to the Deccan Traps in the Western Ghats led by Dr. Sukanta Roy (NGRI). Here are the classic extensive flood basalts (about 67-63 Ma). Dr. Roy studies reservoir triggered seismicity. Ever since 2 reservoirs went into this area ~ 40 years ago, there have been consistent earthquakes. 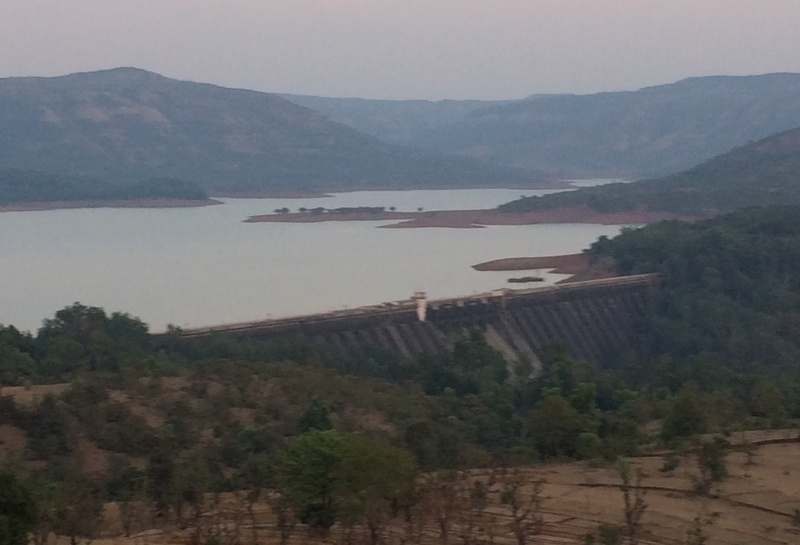 The Koyna reservoir sits on top of Deccan Trap basalts and induces seismicity in this region of the Western Ghats. As always, there are lots of things to see enroute. 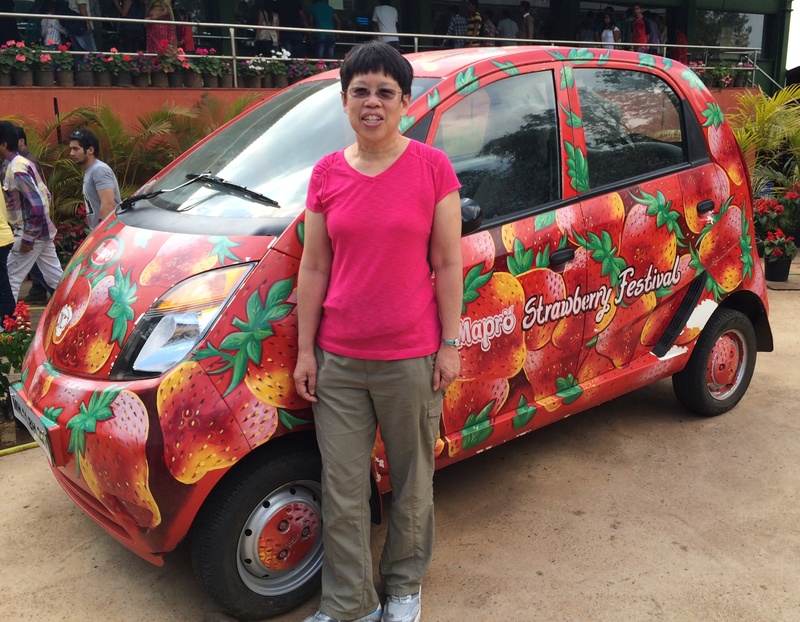 This is a strawberry version of the Tata “nano”. The “nano” is the world’s cheapest car at ~ $2000 US dollars, made for the Indian market. Cities and villages in India are full of color. We drove by many fields of sugar cane and took a slight detour to the hill station strawberry gardens, a popular spot for getting lunch and big strawberry sundaes. After a brief overnight in Goa (west coast beaches), we are on to Delhi. 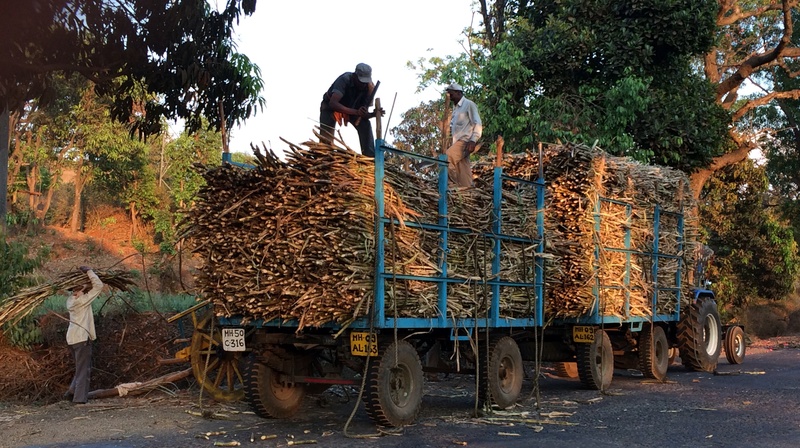 Workers stack huge piles of cut sugar cane in trucks. 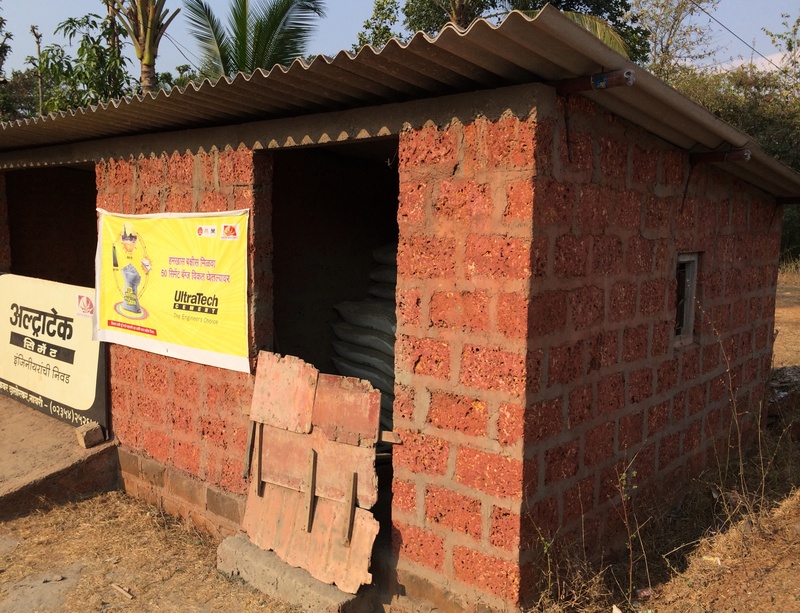 Many buildings in the Western Ghats are made up of brightly colored laterite bricks cut from weathered basalts. Just fabulous!! I liked the way you mixed geology and culture together. Tata’s nano taxi is very colorful!! Is Deccan volcanism still considered to be late Cretaceous to early Cenozoic?